This to me is the perfect autumn salad. It tastes great with butternut squash and other fall vegetables, potatoes, and roasted poultry. 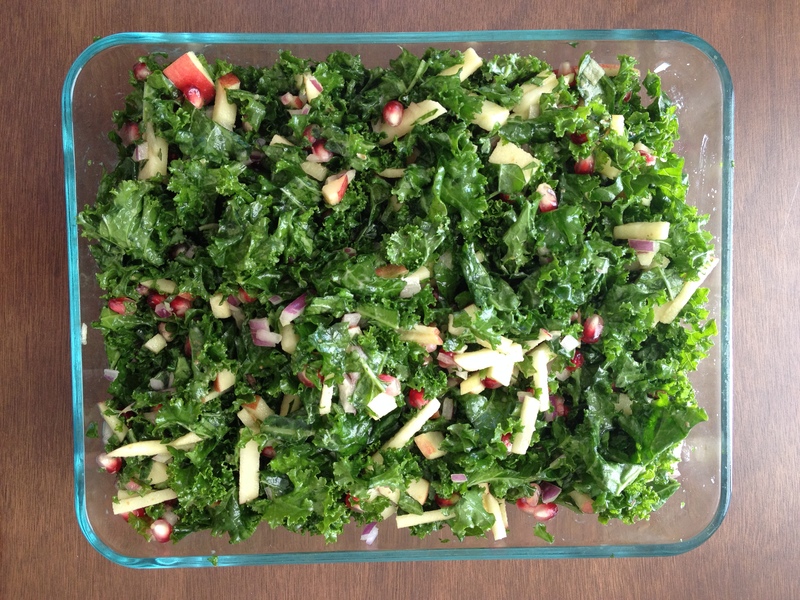 Kale also keeps incredibly well and only tastes better with time as the flavours from the dressing and fruit marinate it. Great for Thanksgiving dinners and leftovers! I made this over the weekend to bring it to a retreat upstate in the Catskills, and the salad valiantly survived 8 hours before it was promptly devoured by the crowd ;). 1. 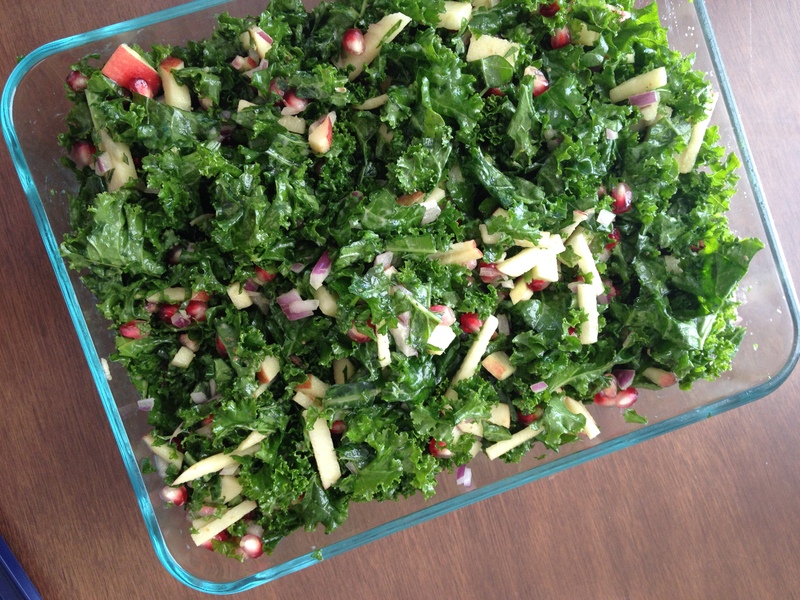 Put kale into a large pot, drizzle olive oil. Massage softly with hands. Sprinkle a couple dashes of sea salt in. 2. Add red onion, apples, and pomegranate. Toss carefully. 3. Drizzle dressing and toss again. This salad keeps well for 2 days in the fridge, but I’ve also found that it’s fine sitting on the countertop in this cooler weather for up to 6 hours.